3rd Bn, The Worcestershire Regiment, 7th Infantry Brigade, 3rd Division, B.E.F. Next of Kin: Son of George and Catherine A Hicks of 4 Grove Houses, Guarlford. “I am sorry to have to tell you that Sergeant Hicks, whose hand-writing you will recognise on the envelope containing this letter, was killed at about 4.30 pm on the 12th inst. It was in the course of an attack which we made on the enemy’s trenches. He was shot through the head and was killed instantaneously. I cannot express my sorrow at his untimely end sufficiently, for we all liked him. “As a leader of his platoon he was an example. In care for the welfare of his men he was most diligent; as a comrade he was one of the best; and in losing him we suffer a loss which is only excelled, I am sure, by yours and his people, of whom he so often spoke in terms of affection. I must ask you to let his people know, as I cannot write direct, having only your address. “I though it my duty to write, as your son Sergt J Hicks (9551) was killed in a charge which we made on Thursday, the 12th. I couldn’t in any way get to him to take the things which he had to send to you, but although I am away from the Battalion now, I have left a message, so that I shall know who has them, and for them to be sent direct to you. Both the Company and myself offer you deepest sympathy in the loss of our comrade. “It is with an almost broken heart that I have to announce the death of poor Jack. He was killed in action on the 12th inst whilst gallantly leading his platoon in an attack on the German trenches. Though not near him at the time, I have gleaned sufficient news to be able to let you know that he was instantly killed by a bullet in the head, and later, when he was brought in by the stretcher bearers, I was told he looked a picture. He died with a smile on his face, and did his duty like a Briton. “You will know what a difficult job this is for me, as Jack and I were brothers in all but blood, and if it is my fate to fall, I hope that Jack’s example will do me good. His effects that were on him at the time will be sent to you by his Company. Dear Mrs Hicks, how could a man die better than Jack did? Take consolation from this, and be proud that you had such a good son. 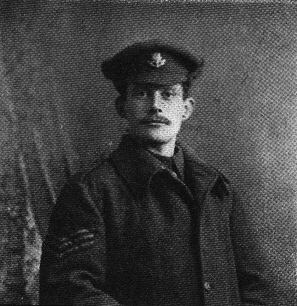 Sergeant Robert Drinkall, who was awarded the Distinguished Conduct Medal for conspicuous gallantry on the 12th March, was killed in action on 7th June 1915; Company Sergeant-Major P T Blond who had served with distinction in 1914, winning one of the first Military Crosses, was mentioned in despatches in February 1915 and went on to serve as a C.S.M. for the duration of the war, was awarded the Meritorious Service Medal in 1918; Sergeant Thornhill also survived the war.